It’s hard for me to believe that it is September, the end of summer, the start of Autumn (supposedly) and a return to early mornings and the school routine for my 3 girls. I’m not going to reflect on the summer, except to show you here what I made in August. Now I’m focussed on looking forward to the new term of classes, (for me and my girls!) and in many ways, a new beginning and hopefully a new ‘normal’. September also heralds the return of Bee Blessed, and the new block of the month. 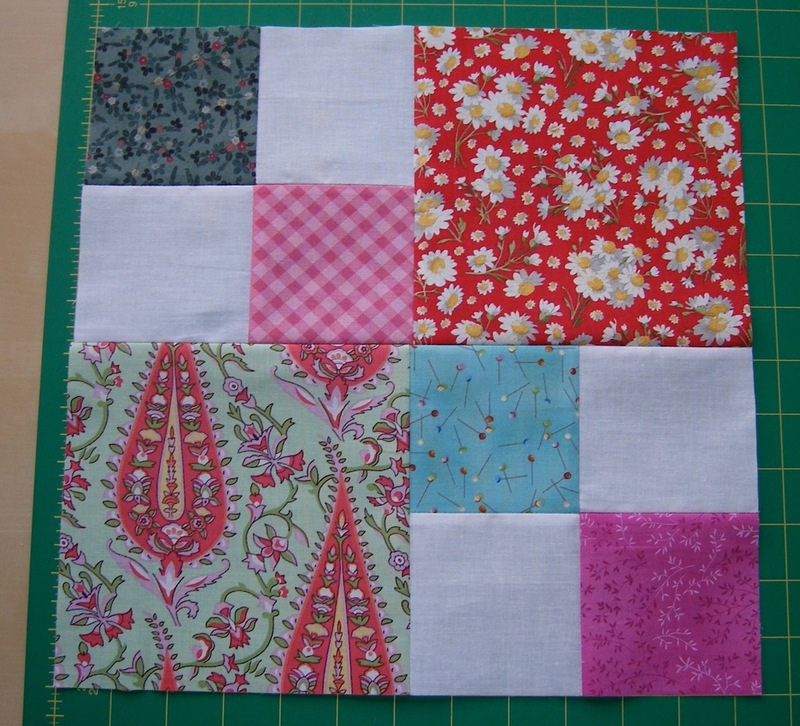 Check out the tutorial here if you fancy having a go at this easy peasy Double 4 Patch block for us. Thank you for all the donations of blocks over the summer. I’m looking forward to catching up with fellow Bee members and seeing the blocks all come together. We will also be starting preparations for our Fund Raiser/Exhibition in November, but more on that nearer the time! Have a great start to the new month! Previous Previous post: Wonky is the new Straight! Next Next post: The Bag Ladies!